I do a lot of cooking and catering as part of my full-time job. Yesterday I prepared a reception for a Lebanese novelist, and wanted to make the spread colorful and welcoming. 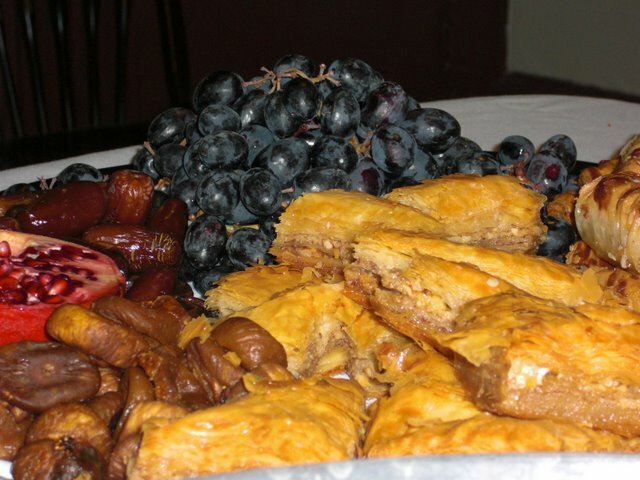 For sweets, I put together a dessert tray of baklava, kolache (nut rolls) grapes, figs and dates. 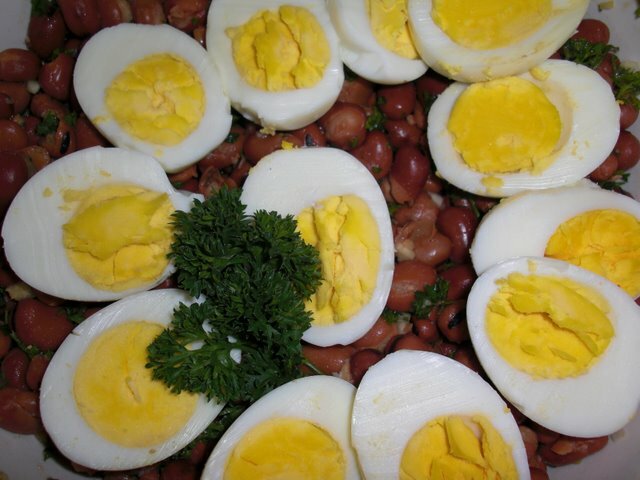 I love fava beans, and Ful Madamas, so I made a salad using my own recipe, which is primarily fava beans, a healthy handful of chopped parsley, 4 minced garlic cloves, the fresh juice of one lemon, and boiled eggs to garnish. 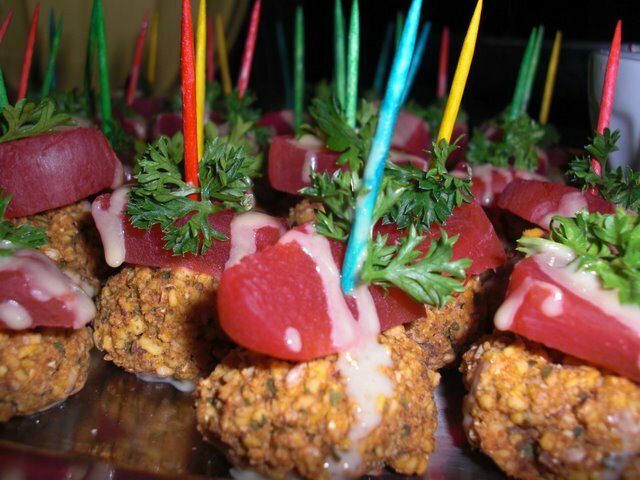 of individual hors d’oeuvres for an event like this, I wanted to play a bit in the kitchen and so made up this hors de’oevor using falafel balls, slices of pickled turnip (which I love), a drizzle of tahini sauce, and fresh parsley. 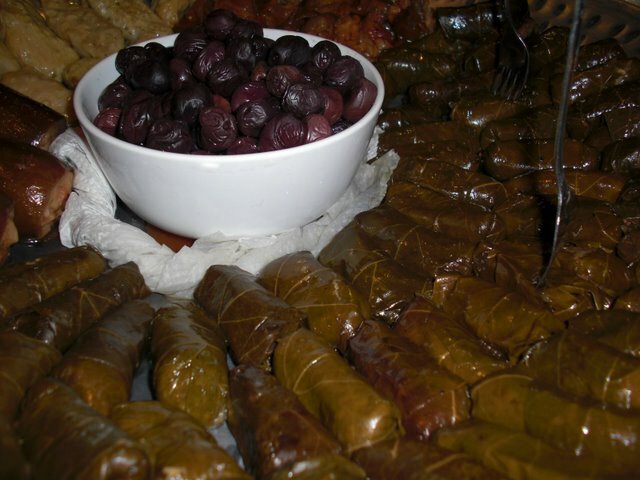 Alongside some of my usual tricks (crudite tray, fresh pitas, hummos) I added a platter of stuffed grapes leaves, fried eggplant in tomatoe sauce, and stuffed cabbage leaves. Looks wonderfully delicious and colorful.